This stitch along program will run for six months, March-August. Included in the price will be an additional 4 patterns from the Simple Whatnots club by Kim Diehl.... a perfect way to use all of your left over scraps!! Price includes all materials necessary for the top including the binding. The backing is separate. 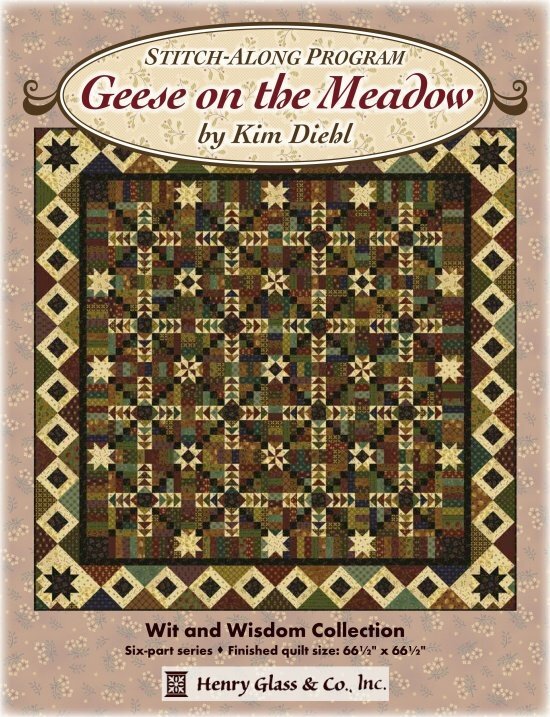 All fabrics are 100% high quality cotton from the Wit and Wisdom fabric line by Kim Diehl for Henry Glass. Requirements: Must come in to purchase individual kits at your convenience on the first of every month. Let us know if you need us to mail or ship it to you!